The gift idea for a birthday, a helicopter tour coupon. 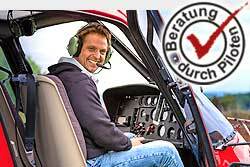 Surprise your loved ones with this very special gift and take off by helicopter over Heilbronn Oedheim. - Voucher valid 9 month (after amount creditable as a valid voucher).